The DDRB is dedicated to keeping the developmental disabilities community updated on legislative issues that may impact their lives. Here we provide you with monthly updates from Missouri's current legislative sessions. 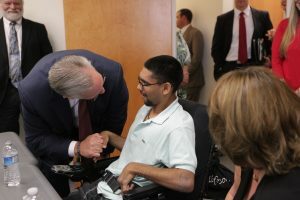 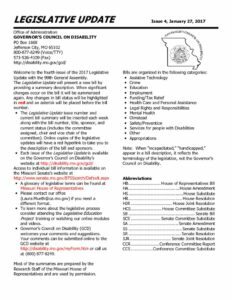 The summaries include actions taken by the Governor on all disability related bills and resolutions passed by the General Assembly. 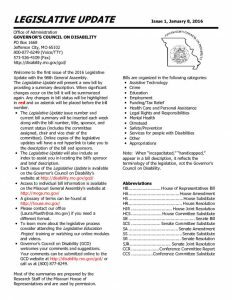 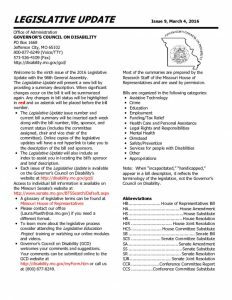 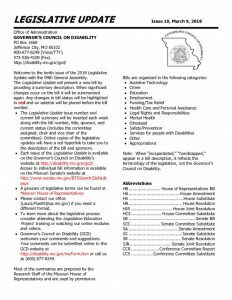 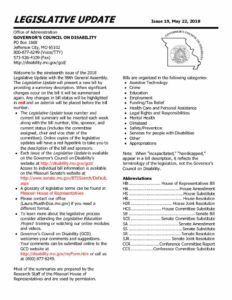 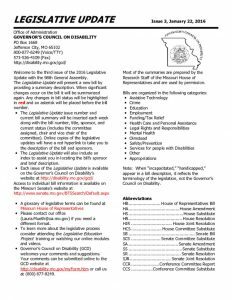 Note: When “incapacitated,” “handicapped,” appear in a bill description, it reflects the terminology of the legislation, not the Governor’s Council on Disability.